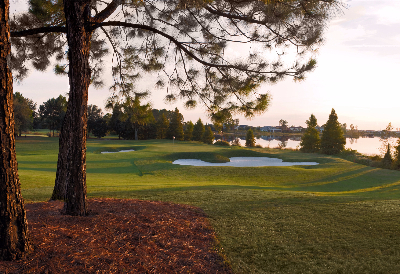 The Golden Bear Club is a Jack Nicklaus Signature-designed course. Since its opening, it has become the centerpiece of the prestigious community of Keene’s Pointe. This phenomenal private country club is bordered by the Butler Chain of Lakes and features majestic oaks, towering cypress trees, and all types of natural flora.